The next time you’re lounging in your living room, ask yourself a question. Why is your favorite place to relax called a couch? Who named that sofa, or for that matter, the bedroom bureau or mom’s grandfather clock? And why do some pieces of furniture have multiple names? Exploring the origins of furniture names can often reveal something about their history. From the Colonial trundle bed to the romantic hope chest, each name has a story to tell. Let’s start with your cushy couch, which is also called a sofa, a divan, and a settee. Couches first became fashionable in the 17th century and the name comes from the old French coucher, meaning to lie down. Early couches were designed for sleeping as well as resting. While couch is the favored name for this furnishing in the U.S., in England it tends to be known as a sofa. That name comes from the Arabic soffa, which is a raised part of the floor that’s padded with carpet and pillows. Another name is the divan, which comes from a Persian word dēvān, now dīwān. The diwan originally was the privy council who got to sit in the raised cushy space. 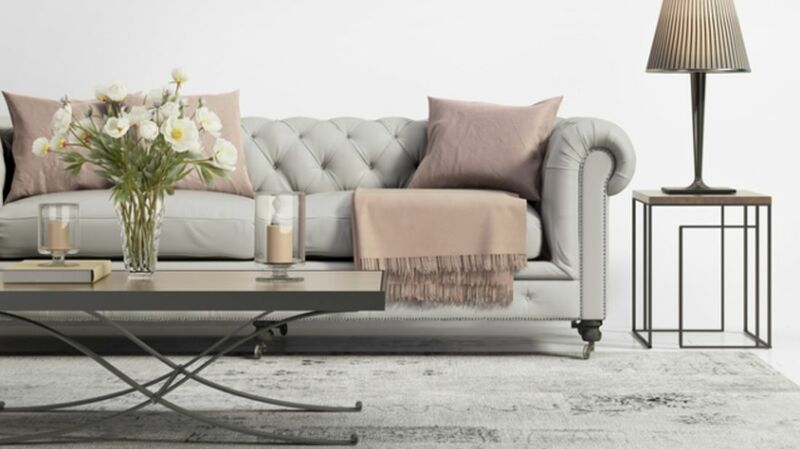 Jane Austen might have referred to the couch as a settee—as in the place to settle down for a long discussion of the eligible bachelors newly arrived in town. For many in the U.S. the word bureau may conjure up a chest of drawers, but that’s not how it started out. In fact, looking at its original use might explain why bureau is both the name of furniture and certain organizations, such as the Federal Bureau of Investigations. Europeans are more likely to think of the bureau as a writing desk. And the name likely evolved from the Old French word burel, for the dark brown cloth that was traditionally used to cover writing desks. In the 17th century bureaus were simple flat writing desks with drawers underneath. Such desks were used in offices, as a place to write letters and store paper and ink. Since offices had bureaus, French offices also became known as bureaus, and, by extension, so did larger complexes of offices and organizations. As time progressed, some furniture makers added extra drawers. By the 18th century the versatile English bureau often had four deep drawers topped with a desk or a bookshelf. While they still had a handy writing surface, these bureaus also provided storage. The writing desk was also called a secretary, from the Latin word secretarius, which meant a scribe or clerk entrusted with confidential information. While some designs of bureaus acquired drawers, the secretary kept them to a minimum, but also often included a top storage department enclosed by doors. By extension, the women employed to write at these “lady’s desks” became known as secretaries. With the advent of typewriters, Victorians quickly needed more surface space to accommodate them and larger desks became popular. Secretaries employed to use the newfangled typewriter were called typewriters or type-writer girls. The original Old French warderobe or garderobe described a room where the robes of the powerful were guarded alongside gold and other valuables. The room contained places for hanging clothes as well as providing shelves and storage places. Eventually the wardrobe became a self-standing piece of furniture and the word was also used to describe the clothes contained within that piece of furniture. Of course, the association with protecting something valuable remained long enough for C.S. Lewis to use a wardrobe to obscure a magical portal in his Narnia books. Before there were bunk beds or blow-up mattresses for sleepovers, fitting in a few more slumbering bodies required a trundle bed. The word trundle implies motion and these beds on wheels rolled out from under a larger bed. During the middle ages, children might sleep in the pull-out trundle bed stored under the larger bed where the head of the household slept. Several members of a family might sleep together like this, with the newest child in a cradle alongside the bed. Even the rich and powerful did not sleep alone, as their servants slept near them ready to serve and defend them. If this sounds a little close for comfort, it’s worth noting that in pre-central-heating days, such proximity provided warmth during bitter winters. The trundle bed was first mentioned in 16th century writings. The name for this item may seem more obvious, since it’s a chest used to collect things for an event you hope will happen, but that anticipated event might not hold the same significance as it did in the days when women commonly lived at home until they married. The hope chest, also known as a glory box, was used to store a bride’s trousseau, as well as practical items for her new household. The contents might include linens, quilts, candlesticks, and sometimes dishes. A young woman often received such a chest when she reached marriageable age, and she might then begin to acquire or make the items required. Grandfather clocks may be found in your grandfather’s house, but that’s not the real reason these long, encased clocks acquired their names. The real reason is a song. In 1875, an American songwriter named Henry Clay Work stayed at the George Hotel in North Yorkshire while visiting England. He noticed a large pendulum clock in the lobby that no longer worked. After enquiring, the hotel owners told him that the inn had previously belonged to two brothers, and that when one brother died, the clock became less accurate. When the second brother died, it stopped altogether, and could not be repaired. Work wrote a song about the clock, “My Grandfather’s Clock,” in 1876. The song sold over a million copies in sheet music and has been recorded multiple times, most recently by Boys II Men in 2004. Apparently, the name for the clock stuck. Although the Windsor chair has come to be associated with Colonial American homes, it has royal associations in English history. The Windsor chair features a very simple design with back and sides consisting of turned spindles attached to a solid sculpted seat. The chairs have likely been handcrafted since the 16th century in Wales and England, but they did not become stylish until the 18th century. The chair was named after the English town of Windsor, which is the home of Windsor Castle, one of the official residences of the British Royal Family. In fact, royalty is rumored to have played a part in the popularity of the chair. Legend has it that King George I (1660-1727) was caught in a storm and found shelter in a cottage. There he was offered a simple spindled chair that was very different from those found in his court. He was so impressed that he asked his furniture makers to copy the chairs for Windsor Castle. By the 1730s, the chair had arrived in America, where it quickly became the colony’s most popular piece of furniture. Colonial craftsmen further refined the design. This lightweight folding chair does evoke the Hollywood directors of the 1920s, who made it fashionable, but the design actually dates back to the sturdier, heavier chairs used by 15th century makers of coffers or chests. That chair was in turn inspired by the Roman curule chair. The lightweight and portable curule chair traveled to China along the Silk Road and was used by the Chinese as a military chair in the second century CE. The foldable cloth version of the chair achieved popularity in the U.S. in the late 1800s, debuting at the Chicago World’s Fair in 1892. That’s just around the time motion picture cameras were invented and production companies were set up. The folding chair was naturally cast as a director’s chair because it was so easy to transport on location. Sitting in “the director’s chair” has come to be synonymous with wielding creative control. The ottoman that often serves as a comfy footrest is named after the Ottoman Empire, which lasted from 1298 to 1908. The padded, upholstered seat, which has no back or arms, was brought to Europe from the Ottoman Empire in the late 18th century. Early versions of these cushioned seats were flatter and longer, but they eventually became rounder and self-standing. The modern-day clothes valet may only air and hang out your clothes, but the position it was named after did much more. As you might know, a valet is a personal manservant and is short for the French valet de chamber or valet of the chamber. Try getting your clothes valet to do that.